Size, shape and bluish black upperparts much resembling Barn Swallow but easily distinguished by rufous collar and broad pale rufous rump; underparts, including underwing-coverts, buffish white, faintly streaked (hardly visible in flight); conspicuous black undertail-coverts striking when perched or in flight; lacks breast band and white in tail. Juvenile duller and browner with upperparts fringed buff, paler collar and rump and shorter outer tail-feathers. 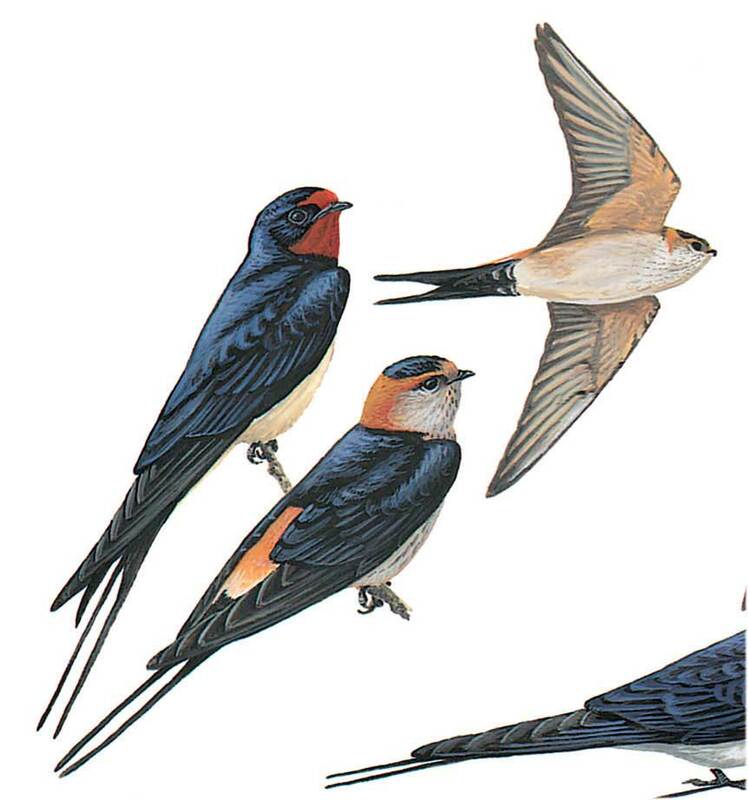 Flight is slow and graceful, frequently gliding for longer periods than Barn Swallow, often with tail closed.